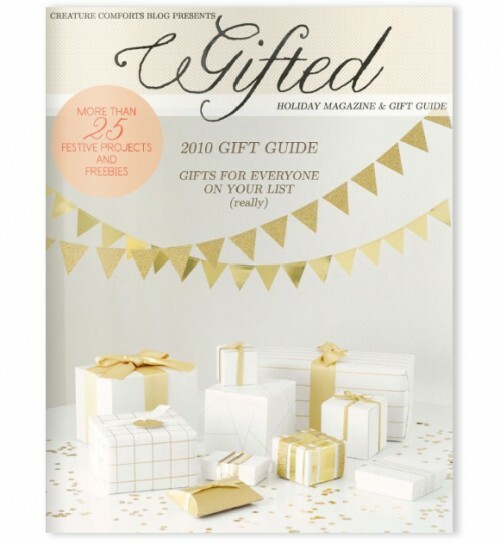 Ez of Creature Comforts just launched her online mag, Gifted this week. It’s so lovely and full of amazing ideas. If you’ve ever read her blog you’ll know she does not disappoint. I know I’ve said it a lot but I’ll say it again, consider making something as a gift this year. Stop by Gifted and be inspired. Previous post: Weekend Baking: Cookies!